If I had to pair her up with an already existing character, then it would probably be Hibiki. How would that go? Lubiki? HiLu? ?_? I also like the pairing of Lucy x Bickslow, but for this debate I will choose Hibiki. Maybe natsu. Some times it seems like she likes him but I'm not really sure. Natsu, because honestly, everyone else will make absolutely no sense at all. Lisanna is portrayed in a best friend/innocent friend type of character, but it's Lucy that Natsu gets involved with more. For example, she held his scarf when he was battling Hades and she also treated him out to dinner on the first chapter and various other examples along the way too. sorry for not replying have been kinda busy. so anyways we can start debating now. which group wants to start first? for those of you who dont know what debating is, it is basicly just giving positive points and proofs about the topic you have been given. Natsu was Lucy's was friend and partner in Fairy Tail. 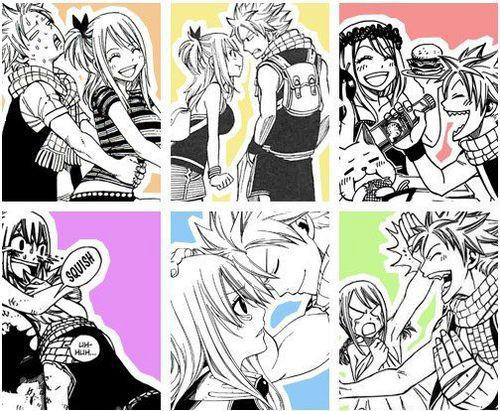 Natsu feels comfortable with Lucy and Lucy does too. It is obvious they should be together. Usually I would vote for NaLi but this debate isn't about that. Everyone can see the connection between Nastu and Lucy. Btw, who the hell is Hibiki? Gray and Lucy...nothing. How did GraLu even started??? It's chances of happen is 00.00% Gray belongs with Juvia or who ever. 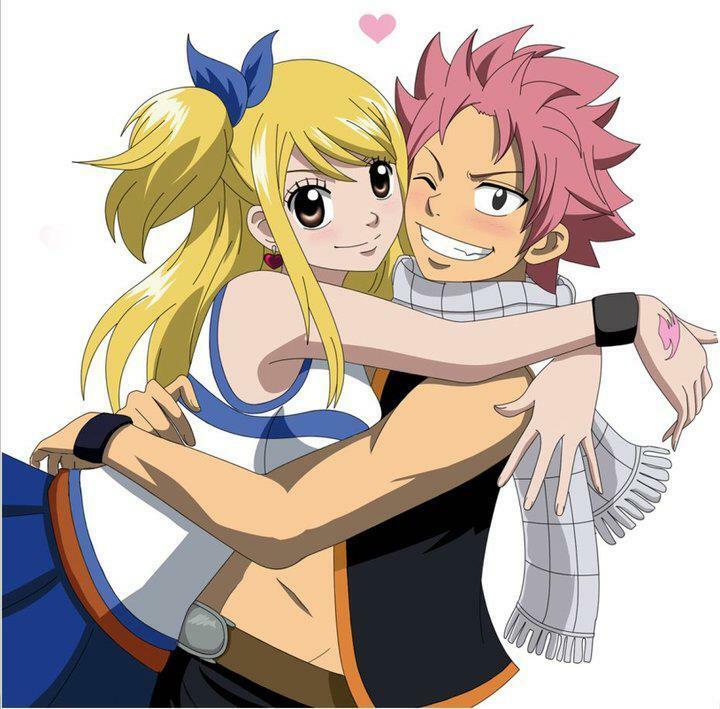 Natsu belongs with Lucy. and brought the sakura tree..
No doubt Natsu and Lucy!!! I think. 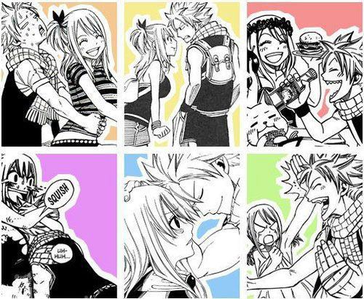 Natsu's the best for Lucy. The alternative is Loke. 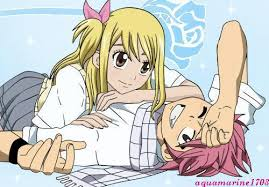 I honestly think Lucy and Natsu have the most say "charm" between each other. While it may be SLIGHTLY confirmed she has feelings for Natsu, we have yet to know about the other. It can go one of two ways. One, Natsu just thinks of her as a friend. He is aware that she is physically weak, and develops the decency to spend time with her, however, it does seem he is impressed by her magic power. Finally, they spend enough time together, that he is indeed comfortable with her at his side as a friend. Two, is just like one, however, even a bit more... say deeper. From the start, he appears to be protective of her, to the point where he actually really cares for her. It is noted he seems a bit more depressed when he sees that she is not there with him. Not to mention, in battle, when she is in danger, he will call out her name with a lot of concern in his voice. I've actually got billions more to say, but I think I already made a wall of text. So I think I'll stop. Sadly this seems like a very heterosexual anime. I would've liked to see myself a bit more Lucy and Erza mostly because Lucy considerably blushes every single time there is a scene with Erza especially at the beginning where she clearly stated that she could fall for Erza. Erza is completly clueless because she is so set on Jellal although it doesn't make a lot of sense because even though she does have her girly moments I believe that a pairing with a guy for her wouldn't fit because of her tough personality. But she is stuck on him which probably caused Lucy to pay more attention to Natsu. As for Natsu the only person that they ever showed that he cared for in that way was Lisanna when they were kids but that was a first love type of thing. I doubt Natsu is the fall in love type and that he doesn't match with any of the characters in this anime. Because this anime doesn't revolve around romance it makes sense for it to be like that. 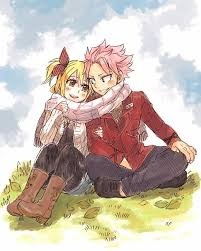 Natsu may feel protective for Lucy but their relationship shows that its more of a brother sister type thing. if Fairy Tail is protective of friends imagine how protective they are of the people they think of as family. But their too comfortable with each other for there to be actual romance. Although there is no development of romance the subtle hints actually infer that Natsu doesn't like anyone and if he does is avoiding Lisanna. Lucy is thoroughly confused and Erza is stuck on jellal. I will end my word wall with that. Natsu for sure! There's been a lot of hints thrown out already. I'm not expecting anything until near the ending though. THE CHEMISTRY BETWEEN NATSU AND LUCY REALLY MADE ME LIKE FAIRY TAIL EVEN MORE. EVEN IF IT'S FOR BOYS.